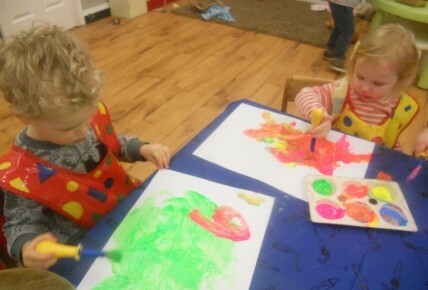 All of this week at nursery it is Enrolment Week. Enrolment Week is a great opportunity for anyone looking for childcare to come along and sample nursery life here at Busy Bees Ingleby Barwick. Each day between the hours of 9:30am - 10:30am and 2:00pm - 3:00pm there will be various activities going on for everyone to join in with. Today the theme has been Thrill Seeking Thursday. 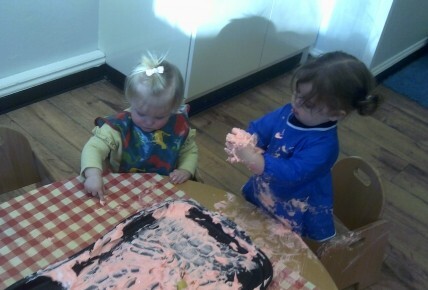 The children have been carrying out things that they love to do... the main thing being messy play. 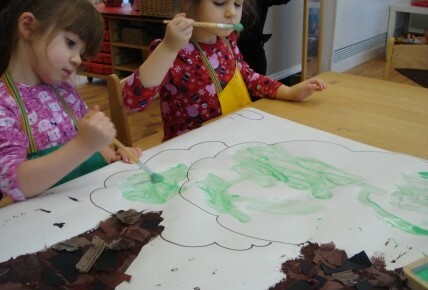 We have been painting and playing with shaving foam, as well as soapy sand. 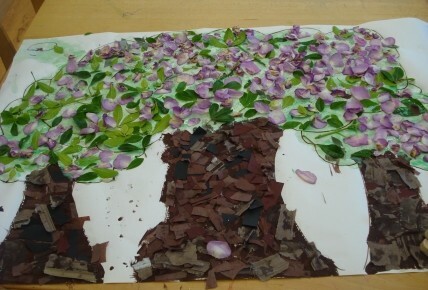 The older children love being in the garden and bird watching so they got creative today and made a big tree using things such as material, paint and real petals! Don't miss out on the fun and book your place at Enrolment Week today! If a nursery place is booked during Enrolment Week you may be eligible for a special offer!